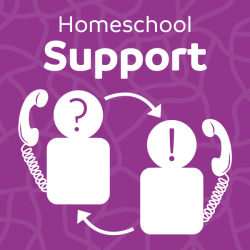 The Grade 2 coursebook (includes resource book) provides 36 weekly lessons across all subject areas to guide and support you through the homeschooling year. The curriculum expands on your child’s natural intelligence and growing confidence as a reader and writer. Reading emerges from writing, and observations of animals and nature become the subject of poems, writing, and stories. The rhythmic nature of rhyming poems becomes a natural and playful means of working with phonetic letter sounds as students develop their independent reading skills. In Social Studies, students continue to develop their understanding of history, geography, economics, and civics. Fables and folktales provide the backdrop for learning about ancient cultures, and universal human themes. Students explore the themes of good citizenship by learning about the lives of inspiring individuals. In Math, the second grader’s growing understanding of mathematics and confidence in manipulating numbers leads to work with the multiplication tables and gaining skill with the four processes. In Science, students continue to develop their observation skills as they explore the world of animals. Themes such as interdependence, natural rhythms, and classification provide the foundation for close-up investigations into the plant and animal kingdoms. Through hands-on and investigative activities in Art, Crafts, Music, and Health, students engage in explorations of color and craft, develop their recorder playing skills, and conduct inquiries into topics related to their healthy development.